When I was a kid we used to go to those quarter machines and get slime out of them. Did you ever do that? We would get the green and get it so dirty that it looked like boogers then we would act like when you sneezed it came out. I mean how fun was that?! Now as an adult I love to make Unicorn Slime with my kids. This is just so pretty with all the bright colors, right?? 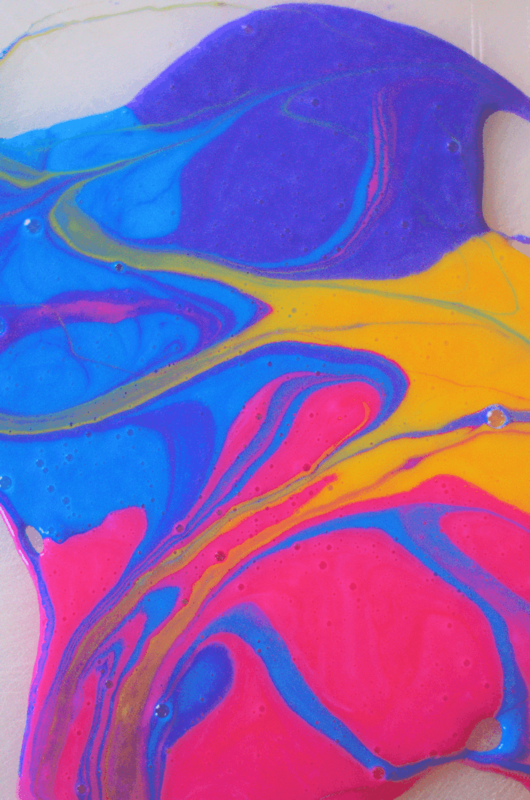 When you first swirl this slime the colors just look awesome. However, after you mix of course they tend to just blend and make a muddle of colors. This is the real excitement though for the kids because they get to mix those colors! To get started, you’ll want to have a few small bowls you can mix the unicorn slime in. It also never hurts to put down a tablecloth or put it on a cutting board to help make clean up a little easier, especially if your little helpers are assisting with the mixing part for the slime recipe. Pour glue into a medium sized bowl. Slowly mix in one tablespoon of the liquid starch at a time mixing until you get the desired slime consistency. If you get the thickness you want, you can add more or less, whatever is the gooeyness your family desires. Separate the slime into individual bowls. 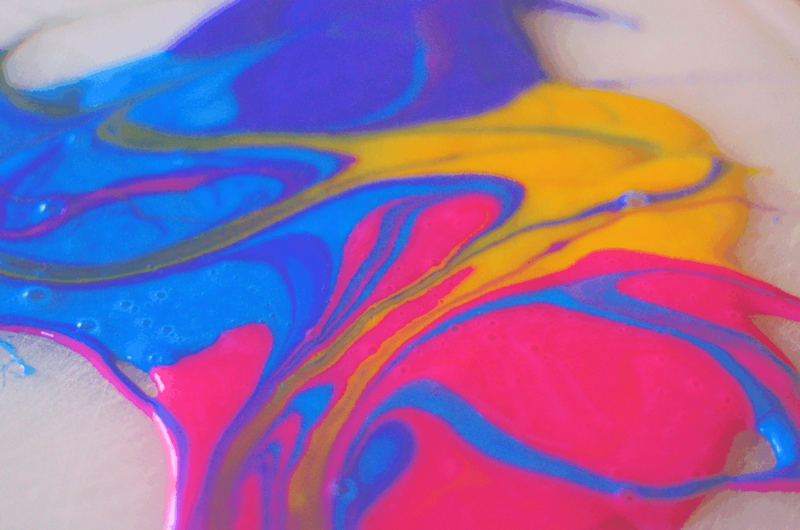 Add two drops to food coloring to each bowl. Then have fun mixing away!